Thank you to Lauren for sending in this color comparison. 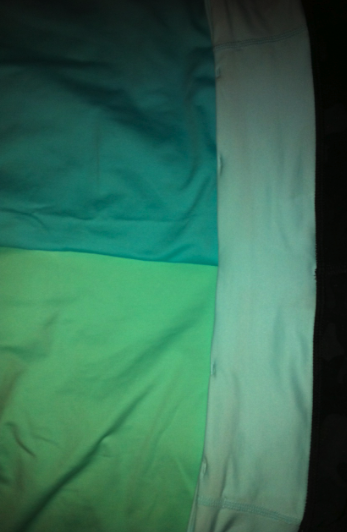 On the right we have the lighter color of the three, Aquamarine, Top left lis Angel Blue and the bottom left color is Toothpaste. I have an Angel Blue Free To Be Hoodie that I had in my sell pile for almost two years and I pulled it out last week and realized I love the color and love the hoodie. I think I’ll like Aquamarine as well. "New! Ebb and Flow Tank"